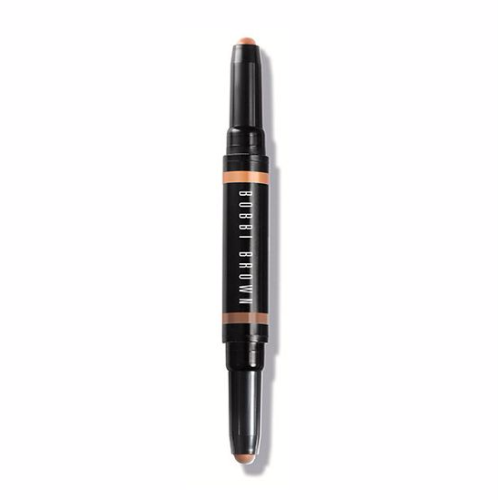 What is it: Our cult-favorite, no-brush-needed cream shadow in a new, dual-ended stick. All six duos feature two complimentary shades of cream shadow, one base and one for adding dimension and definition. Wear them alone or blend together for a complete eye look. Why it is different: Creating a long-wear eye has never been easier. Back of a cab, at your desk - with two perfectly paired shadows, you can shade, line and define eyes wherever you are. Formula glides onto lids tug-free, then dries down to a flexible, water-resistant finish that stays put for all-day wear. How to Use It: Swipe across lids and blend with fingertips for effortless, on-the-go application. Lighter shades are ideal as a base, while darker shades can be used to add dimension or line eyes. 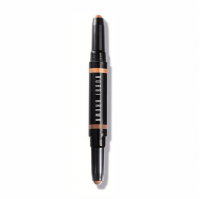 Swipe across lids and blend with fingertips for effortless, on-the-go application. Lighter shades are ideal as a base, while darker shades can be used to add dimension or line eyes.